Leadership - United Staffing Solutions, Inc.
Dr. Parvez Gondal has over 25 years of healthcare staffing industry experience and is one of the pioneering leaders to implement innovative ideas to help service the needs of hospitals across USA. Dr. Gondal is the founding member of United Staffing Solutions Inc. (USSI), which was the founded in 1996 as a result a three way merger of his previously founded staffing agency, United Healthstaff based in San Diego, California. Dr. Gondal originally founded HealthStaff in 1991, which specialized in Medical Professional Staffing, Auto Transfusion, Cell Saver, and IABP Training, CME services, and Industrial Staffing. Prior to starting HealthStaff, Dr. Gondal was the Chief of Anesthesia for Hollywood Presbyterian Hospital, Santa Marta, and Daniel Freeman Marina Hospital. He also specialized in Cardiac Anesthesia and Pain Management. 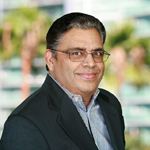 Dr. Gondal is a serial entrepreneur as he started and ran several medically related enterprises including Doctor’s Own Company, which is a medical billing company and Marina Del Rey Pain Center, which is a patient clinic as well as a Pain Management Center. Parvez Gondal, MD is actively involved in various charities including Charitable Foundation for Higher Education of Underprivileged. It is his passion to ensure that underprivileged children are given the opportunities through education as Dr. Gondal himself achieved his dreams through scholastic achievement grants from the Saigol Foundation in 1967. Dr. Gondal attended King Edward Medical College in Pakistan (Doctor of Medicine from the University of Punjab) and became the first handicapped man in the history of Pakistan to become a medical doctor. Beyond his entrepreneurial spirit and passion for medicine, he is a licensed pilot who enjoys the freedom of flying. 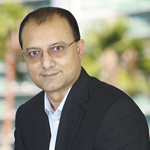 Dr. Parvez Gondal lives in Marina del Rey, California. Zia Rahman has over 13 years of in-depth experience in healthcare staffing industry. Prior to joining United Staffing Solutions, Inc. (USSI), Zia spent 7 years as the Chief Operating Officer of a mid-sized healthcare staffing company with emphasis in Travel RN, Per Diem, Permanent Placement, and Interim Placement based contingent staffing solutions. During his tenure there, Zia helped grow the business and margin expansion and successfully navigated the 2009 downturn with very strong operational strategy. Zia also has extensive knowledge of Mergers and Acquisition in the Healthcare Staffing Industry. He was instrumental in negotiations and due diligence of staffing companies ranging from $15MM to $115MM in sales. Zia has spent over 20 years in various technology and operation positions as Chief Information Officer, Chief Technology Officer, and Vice President of Technology/Engineering for Fortune 500 companies and others in Health Care, Federal Government (VA, FAA, DoD), Employment Screening, Call Center, Reverse Logistics, Telecom, Top Level Domain Services, and Document Management/Workflow focusing on Enterprise Software Development. Mr. Rahman has extensive national and global operations management experience in running organizations in China, India, Ireland, and Philippines. Mr. Rahman lives with his wife in Los Angeles and has two children and two dogs. Mr. Rahman graduated with bachelor’s degree in Computer Science from University of Maryland, College Park. 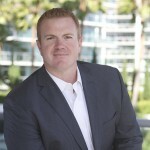 David Deane has over 10 years of sales and leadership experience in the healthcare staffing industry. David began his career in healthcare as a nurse recruiter and quickly transitioned into a leadership role for a large healthcare staffing firm where he was awarded “rookie of the year” his first year and won “office of the year” in his second year at the helm. Shortly thereafter he moved into a business development role for a mid-sized travel-nursing firm where he was instrumental in growing the top line revenue of the company by 45%. Recently, Mr. Deane spent 4 years as a regional director of sales developing new territories for a large health information management company providing solutions to hospitals and health plans. He was an instrumental part of building a team while growing the company’s business to over $20MM in sales. David prides himself in taking on challenges and working tirelessly to meet the company’s and his own personal goals. David is a competitive person whose desire to triumph while working collaboratively with a team was developed at a young age through baseball, his original passion. He now plays on a different field where his genuine desire to succeed, honesty, and work ethic have helped United Staffing Solutions become one of the premier healthcare staffing firms in the United States. Mr. Deane lives in Hermosa Beach, California with his wife and two dogs. Mr. Deane graduated with a Bachelor of Arts from Rider University in Central New Jersey. "Most professional agency I have been dealing with." "Outstanding service! Mona has helped me to get my California license! She is very knowledgeable and super friendly. She has so much patience and helped me through every step of the process. 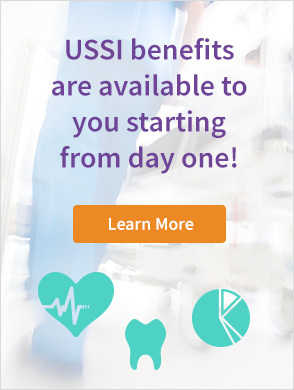 I would highly recommend USSI."